On Saturday, an auction and memorial ride was held to raise money for Sgt. Daniel Baker and his family. The fourth annual Veterans Charity Ride to Sturgis is taking place this summer starting in Las Vegas, Nevada and ending at the legendary Sturgis Motorcycle Rally in South Dakota. An estimated 6,000 motorcyclists rode in the eighth annual Wounded Veterans Run fundraiser on May 20, roaring off from Harley-Davidson. Harley-Davidson Says ‘Thank You’ To Those Who Have Served And Their Spouses. 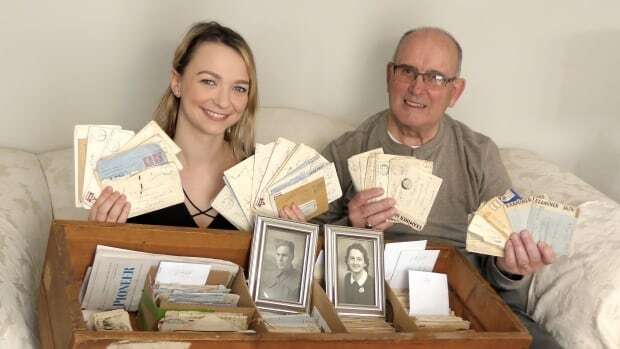 Paige Rankin, P.E.I., hold some of the hundreds of wartime love letters written by Rankin's great-grandfather George Peters to his wife Inez. A special awards ceremony took place in South Austin honoring area veterans. CLAREMORE, Okla. -- An Iraqi Freedom Veteran was set up with a customized bike courtesy of a local motorcycle shop.